We all know that recycling paper is smart — but what about the ink on that paper? Our company makes it easy and cost effective for consumers to refill and reuse inkjet printer cartridges. Retail Inkjet Solutions Inc. (RIS) is an innovative company that is passionate about finding better ways to print, while saving money for the consumer and also doing something positive for the environment. Founded in 2004, we are the global leader in on-site inkjet printer cartridge refilling technology. 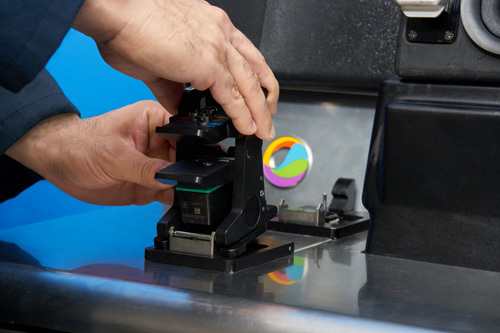 The multi-patented RIS InkCenter® kiosk is deployed in more than 600 participating retail locations across the United States, Canada and Europe — including at Costco Wholesale, Auchan, Cora, Fry's Electronics, Sam's Club, E.Leclerc, Boulanger, Intermarché, Schiever, Saturn and select university bookstores. RIS provides customers with unmatched printing quality while delivering savings of up to 70% over the purchase of a new ink cartridge. By refilling and reusing your inkjet cartridges, an added benefit is the positive environmental impact. Roughly 85% of printer cartridges are used once and thrown away, according to InfoTrends. That results in about 350 million empty cartridges ending up in United States landfills every year — that’s about one per second! Now RIS, together with its retail partners, has provided a quality way to save money while being less wasteful.